Chinese e-commerce company Alibaba Group Holding is likely to pick a majority stake in the e-commerce business of One97 Communications Pvt Ltd, the company that also runs mobile payment and commerce platform Paytm. One97 will soon be separating its e-commerce operations from the mobile payment and commerce business. According to a recent filing with the Registrar of Companies (RoC), Paytm has created two separate entities christened Paytm E-Commerce Pvt. Ltd and Paytm Payments Bank Ltd under which its e-commerce and banking services will operate, respectively. 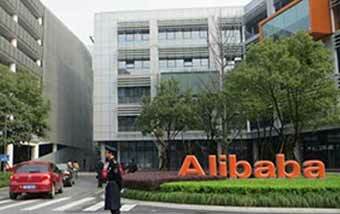 People familiar with the development told VCCircle that the objective behind the exercise is to help the new e-commerce company raise larger investment from its existing investor Alibaba and also, Japanese technology company SoftBank Group Corp, which owns more than 32% stake in Alibaba. The e-commerce entity, created on August 16, currently lists Vijay Shekhar Sharma, founder and CEO of Paytm, as the majority stakeholder, Mint newspaper reported on August 24. A Paytm spokesperson declined to comment. People cited above, however, said that Alibaba's stake in One97 Communications will be transferred to the e-commerce business. "Vijay Shekhar will hold 51% of stake in the payments business because payments bank licence was issued in his name, and 49% of the stake will be held by One97. Alibaba's stake in One97 Communications will be transferred to the Paytm E-commerce," said one of the persons quoted above. NYSE-listed Alibaba Group Holding, along with its financial-services arm Ant Financial, has invested a significant amount of capital to own close to a 41% stake in One97. Alibaba owns a string of e-commerce properties in China and is the largest online and mobile commerce company in the world in terms of gross merchandise value. Ant Financial runs Alipay, a mobile payments wallet like Paytm. In India, Alibaba also holds a minority stake in another e-commerce company Snapdeal. Talking about the reasons behind the move, the people mentioned above said the initial plan was to keep both the businesses on a single platform and shepherd some customers from payments business to the e-commerce platform. The thinking, however, changed as the company realised that the e-commerce business was quite complex and it was tough making money in online retailing. Paytm clocked around Rs 2,000 crore in gross merchandise value (GMV) at a group level in July, becoming the third largest consumer internet company after Flipkart and Amazon in the country, the Mint report said. It marked four times growth since March 2015 when its monthly GMV stood at Rs 490 crore. Nearly Rs 250-300 crore came from its marketplace business while the payments business accounted for about Rs 500-600 crore in July. Its online-to-offline (O2O) business contributed nearly Rs 300-400 crore to the overall GMV.